Well, everyone get into the time machine. Today we are going back to the pre-nerf world and looking at a list that, while a legend deck from a month ago, has a lot of potential. Things have kinda slowed down a little bit, and that is where slower combo decks tend to shine. 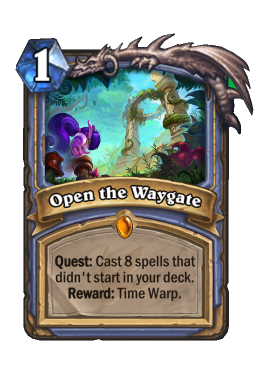 I have always liked Quest Mage, but it does require the player to jump through quite a few hoops. Today's build allows you to do the same Exodia combo without bogging down your deck with awkward draws like Cabalist's Tome . It is a slick idea that, while a bit hard to handle at first, comes together quite nicely. This version comes from a player named Raquun, who took this one to the top. The Combo When looking at this build it can be very easy to ask yourself, what on Earth is going on? 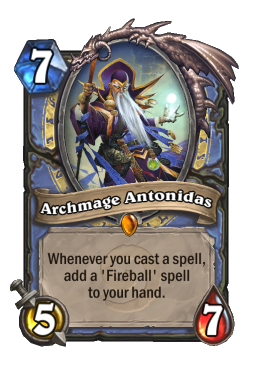 The idea here is that you are still running the super interactive Sorcerer's Apprentice /Archmage Antonidas OTK combo, but you do it without Open the Waygate . How? Easy. You simply use Simulacrum to get two extra apprentices, then discount them with Leyline Manipulator . 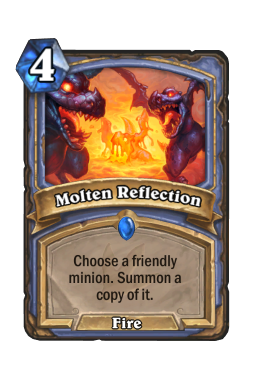 From there, you want one regular apprentice (2 mana), two discounted apprentices (zero mana), Archmage Antonidas (seven mana) and a one mana Molten Reflection (discounted by the apprentices). That then allows you to go for the full OTK combo as long as you have an extra spell in hand (as you can see in the videos, some people don't remember this). It gives you all the benefits of Exodia without needing to put odd cards in that bog down the build. This combo is strong (literally always game winning) but it does take time to set up. Understand that this is not something you can simply dive into. Rather, you need to carefully plan it over two or three turns. Look for opportunities when you can copy the 3/2's, and also be careful about how and when you go for the Leyline Manipulator play. You are going to be under a lot of pressure. 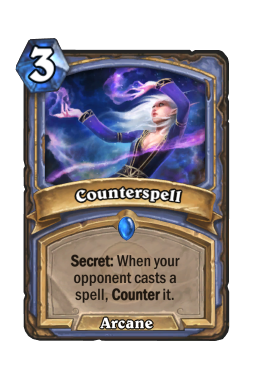 Even if people don't see the combo coming (and they really shouldn't) they are gonna assume you are Freeze Mage. As such, they are going to pour on as much damage as humanly possible. Know that, and structure your turns ahead of time. 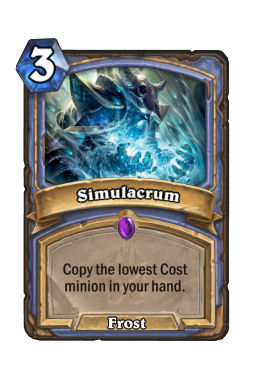 For instance, use Blizzard on six so when you need a freeze on eight you will have the mana to sneak in a Simulacrum . Your turns are tight, and you cannot afford to waste a window. Doomsayer Any time you play a slow Mage deck, you have to pay attention to Doomsayer . This deck, like all other combo builds, gets a ton of use out of the 0/7. As you can see in the games, there are certain situations where I run the two out simply to have it die. Your life is not as important as your turns. That sounds odd, but you want to think of this deck as being on a timer where turn 10 is victory. In that way, every turn your opponent does anything other than attack your face, you're coming out ahead. Many people auto pilot when using Doomsayer. They only run it out early, or with a freeze effect. Both of those applications are fine, but they are not the way you always want to use this. Most of the time you are going to get maximum value here when you have to make your opponent react to it. 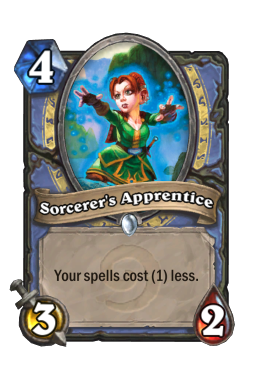 Just about every single card in Hearthstone costs mana. That's an obvious statement, but a very important one to remember. Your opponent does not know their clock, nor do they know how close they are to death. A lot of the time they will play more relaxed expecting to you to drop an Alextrasza or some other big set up card. As a result, they will often take their turns much slower than they should. 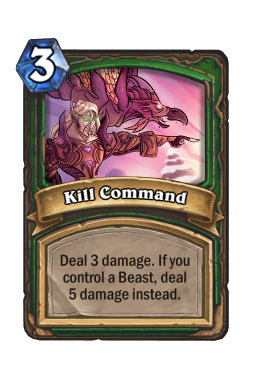 If your opponent is killing a Doomsayer they are going something that doesn't go at your face. 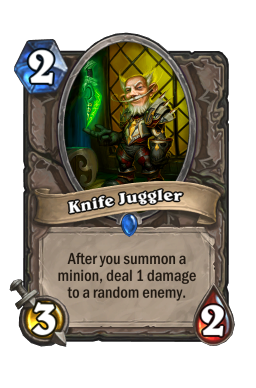 Either they give up seven damage (which is quite a lot) or they have to use their precious mana to play some sort of removal. Even one extra turn can be key to grabbing a critical combo piece or more stall. For that reason, distract your opponent as much as possible. Coldlight Oracle There are many different ways to draw card in Hearthstone, but this split is double Coldlight Oracle /one Acolyte of Pain . The reason for that is, as you can tell by my fear in many of the games, you cannot control Acolyte. This build is very fragile, and if you lose any combo pieces you are done. As such, unless you literally need to win the next turn, you should never play the 1/3 into a situation where there is even a chance your opponent can make you overdraw. Oracle is a great solution to that because it is card draw you can control. As long as you play your secrets and freeze well, the murloc will do a lot of work for you. 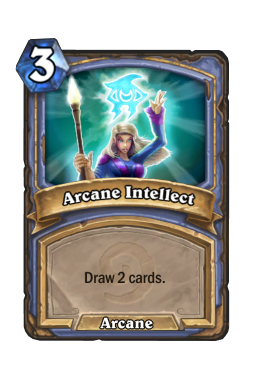 Some people may get shy about letting their opponent draw cards, but as long as you know how to use the 2/2 you will be fine. 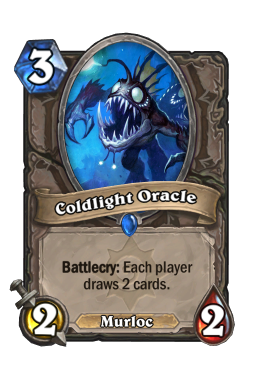 What makes Coldlight Oracle so tricky is that it is going to give your opponent cards. That is a setback you can typically afford, but you need to make sure when you can and cannot afford to have that set back. Oracle is almost better to play early on the game (it even works quite well on curve) because that is the point in the game where your opponent can do the least with their drawn cards. If your opponent draws two card with ten mana, they are going to have many more options then adding to a six card hand on turn three. On that note, the most dangerous time to play oracle is during the middle turns. That is typically when you can accidentally draw your opponent into a key card. Be careful of that, and if you're worried about your opponent having a strong minion or spell, you should try to only draw on the same turn you can go off. 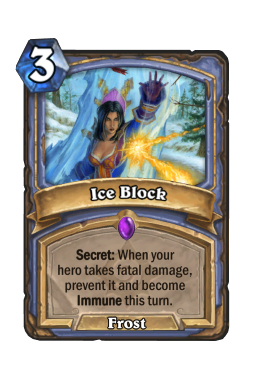 Ice Block Another very tricky card to use, Ice Block is incredibly powerful. However, while constantly keeping it intact throughout the game is strong, you usually want to use it as a "I don't care" card more than anything else. Typically, you are going to win games after you take a few knocks, your block pops, and then you go for the combo. Sometimes it is easier than that, but this secret is almost always going to be a big part of your game plan. Getting a window to run one out is pretty simple. What makes it tough is knowing exactly when it is going to pop, and what you need to do when that moment occurs. Always do your best to plan for the turns where Ice Block is going to save your life. That typically happens when you no longer have freeze, or when you have to ignore the board in order to hit a part of your combo. Knowing your block is going to pop the next turn is extremely important because you can set up the turn before it with a ton of card draw or combo plays. Then, you get a second turn where you have free range. In fact, chaining blocks is one of the most important moves you can make when you're under a lot of pressure. Even if you aren't sure what you're going to do, you know you are going to have three more turns. And that can be all you need to string something together. Blizzard There is no doubt that Blizzard is one of the trickiest and most annoying cards to use in this deck. While the frosty pseudo-AOE is powerful, it is annoying that you cannot use it easily. When looking at this deck, you will notice that almost everything is on the cheap side mana-wise. That is because this version of the list is lean. And I mean leeean. There is a lot of extra mana here, and you need it all so you can freely adapt to your opponent's plays while setting up your own finishing combo. As a result, you don't want to waste your time spending six mana when you don't need to. Always try to get Blizzard out of your hand as soon as you can. 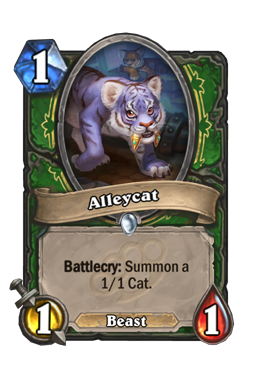 That does mean play it as soon as turn six rolls around, but you do have the option of using it on weaker or emptier boards. You don't need full value here. As long as you can prevent a solid chunk of damage you should be fine. I bring up Blizzard as yet another example of how important it is to map out your future turns. Frost Nova costs three, Blizzard costs six. That three mana difference is absolutely massive. For that reason, you need to find windows where you can drop the six mana spell without messing up your hand or future turns. Sure, you may be able to do it on turn nine, but does that matter if your most pressing need is to play small minions so you can Simulacrum ? 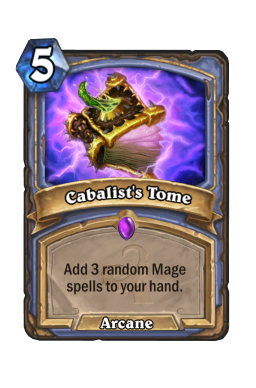 The best way to use this card correctly is make note of turns where you don't need all of your mana, and then use those with Blizz. It is easy just to say "use Blizzard before Nova" but it is not that simple. You adapt your mana in a way where you are always setting up your finisher or drawing cards. Sometimes you Blizzard second because you need the mana now, not later. The four decks I see the most while playing the ladder. Control Warlock What can I say? If you are tired or Warlock, or just want a ton of free wins, play this deck. Besides any egregious errors (like what I did in that last game) you should never come close to losing to Gul'dan. Warlock is a fantastic build, but they are not a burst deck. They are a deck that wants to slowly grind out the game into big finishers. That means you are going to have ample time to basically do whatever you want in this one. 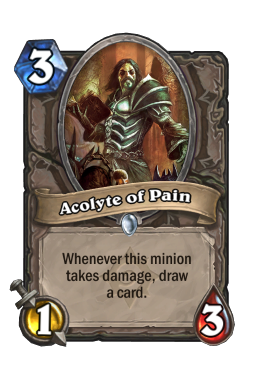 Start off by drawing as many cards as you can (always watching out for your opponent overdrawing you on Acolyte of Pain ) and then power to your combo after locking down the board with frost/sayer. The one thing you want to watch for is any chances to make your opponent draw with Coldlight Oracle . Nobody expects the murloc, and it is quite easy to burn two or more cards once your opponent taps too much. You always want to feign Freeze Mage here. Warlock is going to play this game in a very lazy way. That is because, as soon as they peg you as Freeze, they will never worry about dying until their health drops around 15. You can take advantage of that by slow rolling them with freeze. Once you hit your real combo card, it will be much too late for them to react. 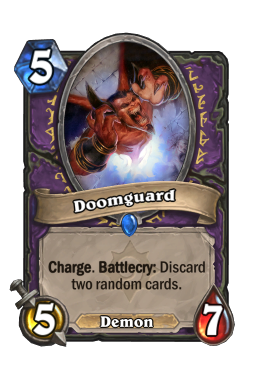 While Warlock can't do much about your combo, they will immediately try to push with Doomguard s if they expect their health is not enough. You need to stop that from happening and let them think they are in control. Even if they do set up a bit of damage, it will come so late that your Ice Block s will give you more than enough time. Aggro Paladin Ah, the game that never was. 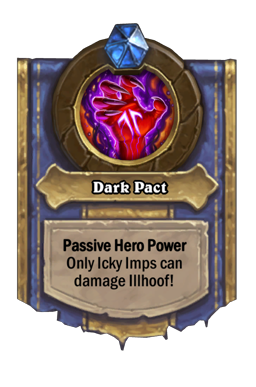 While we didn't get to see any Paladin in the videos (or any non-Warlock class for that matter) this is one of the trickiest and most satisfying matchups you are going to play. As you may imagine, Paladin is a deck that only wants to push. You do not have too many ways to directly interact with that. As such, in order to win, you have to know your control options and use them well. Doomsayer is incredibly powerful in the early game, as Paladin has almost no way to interact with it. 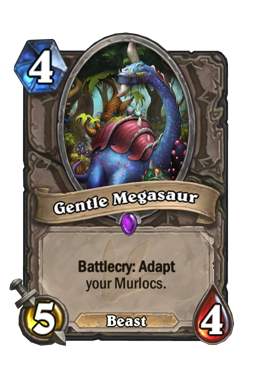 The 0/7 is best on turn two, but you especially want to get it down before they can high roll a Poisonous on their murlocs with Gentle Megasaur . If they aren't the Murloc version, you can be a bit greedier and save it with Frost Nova on turn five. Start the game with removal, on-board minions, and sayer. Then, you want to shift into secrets/constant freeze to hold you out until the later turns of the game. The biggest part of this match is understanding your opponent's burst damage. 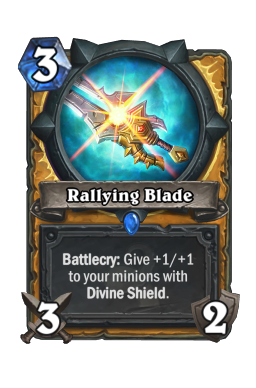 Your biggest advantage in this game is that Paladin's board is easily countered by both Frost Nova and Blizzard . In fact, Blizz can sometimes kill off almost all of your opponent's minions and leave them completely dead in the dust. However, as strong as that is, Paladin does have damage options. 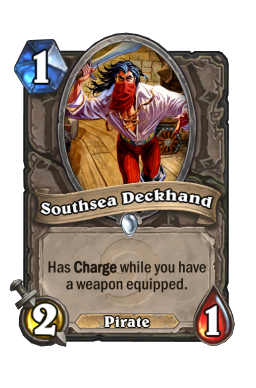 There is always Leeroy Jenkins , but weapons, random Southsea Deckhand type minions, and even Knife Juggler can chip you down when you think you're safe. 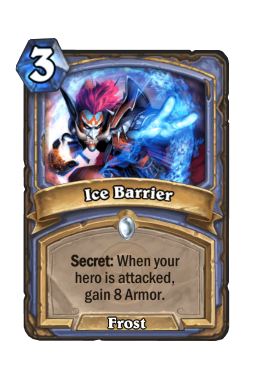 As a result, it is important to keep up Ice Block or Ice Barrier while putting out freeze. In addition, if you're scared of a weapon, Frostbolt on the face can go a long way as well. 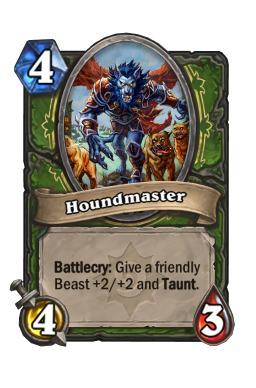 Hunter Always the hardest matchup for slow Mage, Rexxar has to come in and ruin the party. Hunter has proven its staying power, which does not bode well for you. Not only does the class have resilience and Flare, but they also have damage. Lots and lots of damage. 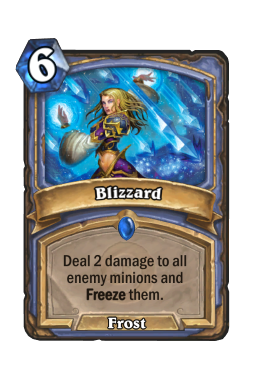 Every Hunter will assume you're Freeze Mage, which then means they are going to pour everything they have into getting at your face. To beat that, you want to run out early minions, trade well, and always find ways to set up healing or secrets. 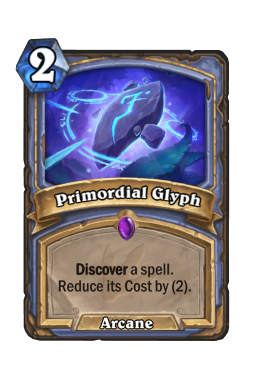 Be aggressive with your clears in this game, and always try to find removal off of Primordial Glyph . It's easy to assume you can take a hit from Misha while at 24 health, but one Houndmaster /Eaglehorn Bow /hero power later and you're at thirteen even with removal. Ouch. The only thing that matters in this one is working to preserve Ice Block . 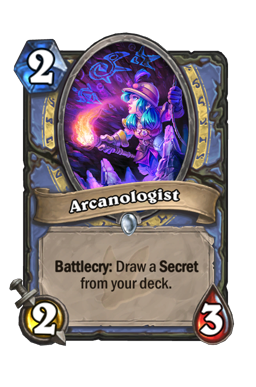 That is because the more turns the secret is up, the better chance you have of extending the game to your combo. There are a few ways you can do this. 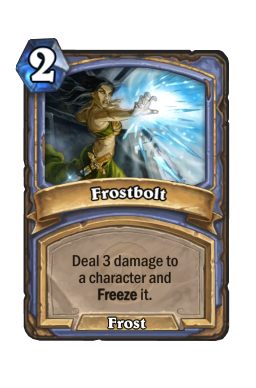 Freezing the board is decent, but gaining armor or drawing away burst spells should always be your main route. 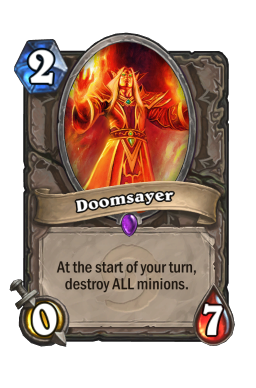 For that reason, this is another game where Doomsayer is fantastic as a distraction. 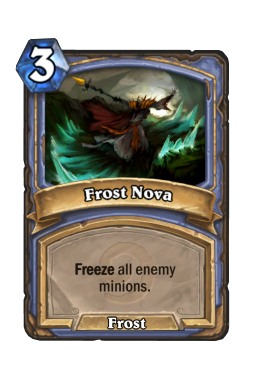 Frost Nova /Doomsayer is a great combo, not because you expect it to stick, but because it will often force your opponent to commit important spells like Kill Command or Eaglehorn Bow charges to save their board. 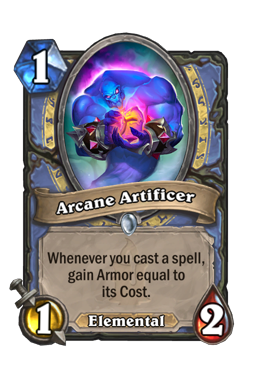 Also note that Arcane Artificer is extremely strong against Hunter because, as it heals and demands removal, it typically buys you a lot of extra time. Note: Try to play Ice Barrier early. Hunter's end-game burst is typically burn, which gets around the secret. 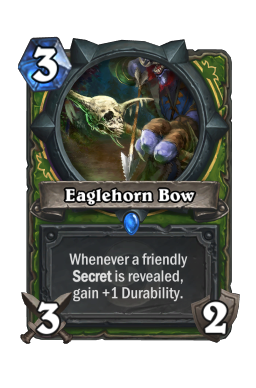 Secret Mage While Hunter is very tough as a result of their ability to constantly put on pressure, Mage is rough because of their secrets. Secret Mage is still holding strong at the bottom of this list, but I could see Kingsbane Rogue quickly overtaking it. Either way, this is a game where your entire goal is to make it through the first four turns with a lot of health. That is not going to be easy, but you need to take every step you can to make sure it happens. Aggressively mulligan for your cheap minions and early spells. Then, run them out as much as possible. Even if Mage has the ability to take them out, it is typically at the cost of either damage or burn. This is not a game where you need to pace. This is a game where you need to be ahead. Your opponent has massive amounts of damage that is going to be nearly impossible to stop. As a result, your goal of this game is not to escape or deny damage, it is to make sure that your opponent uses it much too late. Go big with Arcane Artificer here and never let something hit you if you can afford it. Also realize that this is the one matchup where a poorly timed Coldlight Oracle can lead to disaster. Unless your hand is completely dead, you should never play the murloc in this one until well into the later stages of the game. When mulliganing you need to search for all of your early minions and card draw. While you are not incredibly dependent on a strong curve, you can get card starved very easily (which then locks you out of the game). 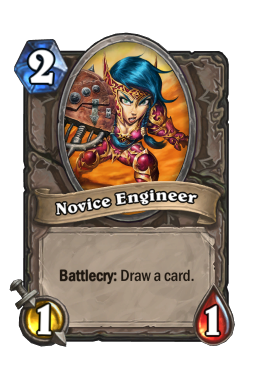 Always look for Arcanologist , Frostbolt , Primordial Glyph , Doomsayer , and Novice Engineer . You can also keep Arcane Intellect and Acolyte of Pain on-curve or with the coin. 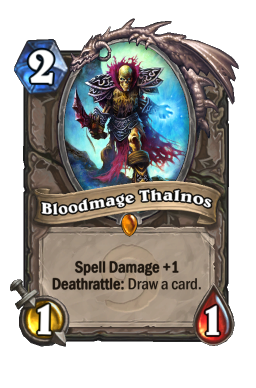 From there, Coldlight Oracle is great against non-aggro decks, Bloodmage Thalnos is good with a weak hand, and you should always keep Frost Nova with Doomsayer against midrange or aggressive builds. Some people hate OTK decks. I am not one of those people. I play a little bit of everything, but when you look at the list of decks I've taken to legend over the years, they're typical combo or aggro. 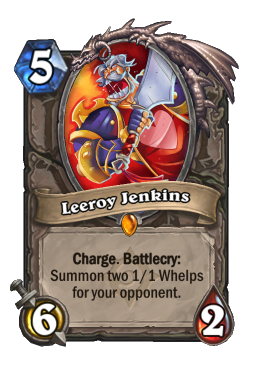 Leeroy/Faceless, Miracle Rogue, Worgen Enrage, Patron, Velen Priest, Dragon OTK...the list goes on and on and on. 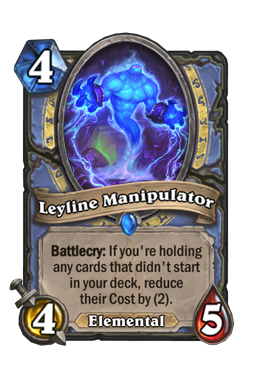 The Exodia Mage combo is one of the most interesting to me, especially one like this. All of the fluff is gone, and all you have left is a great amount of lean, pure cards. What's better than that? Until next time, may you always remember to save a spell for the combo.